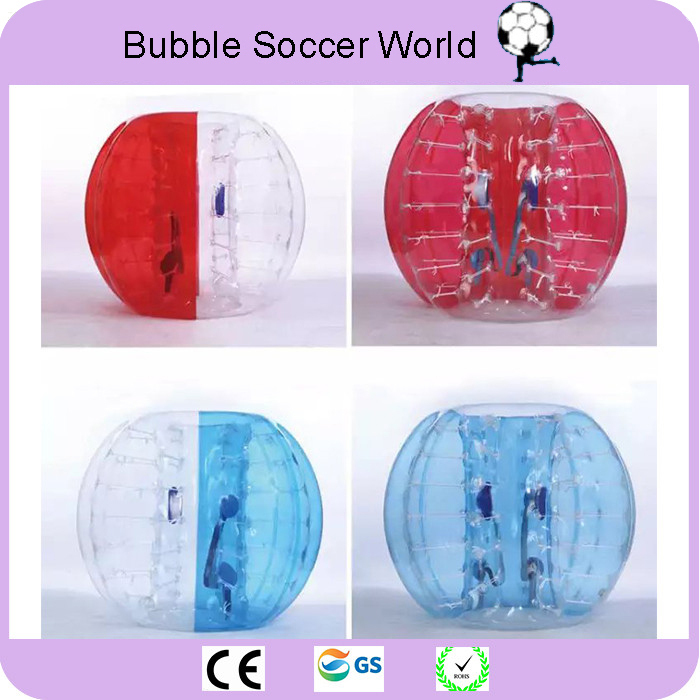 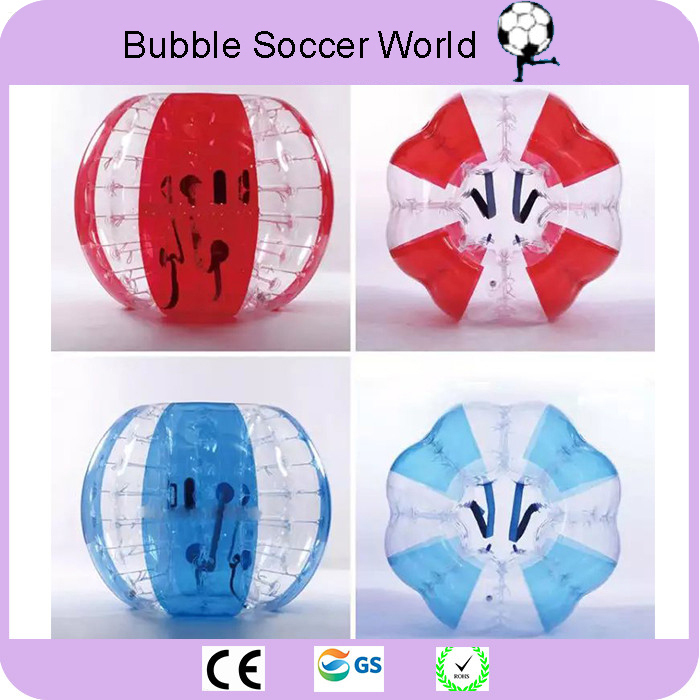 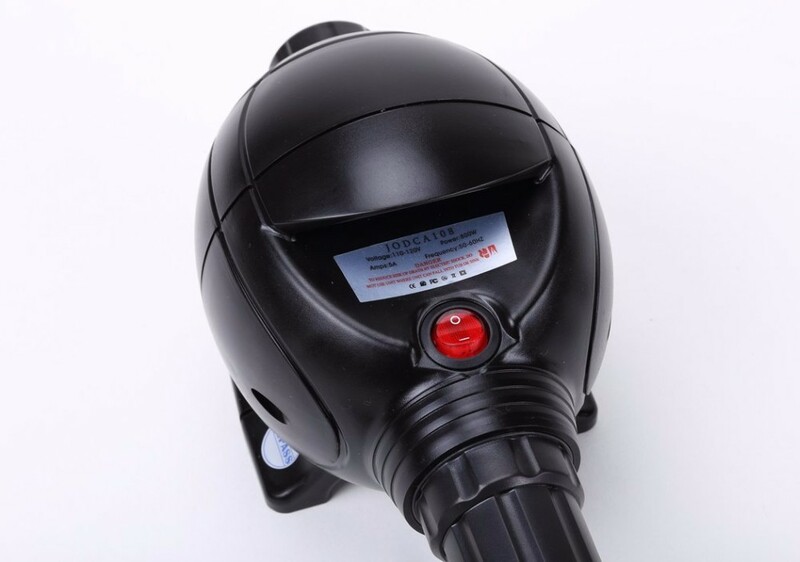 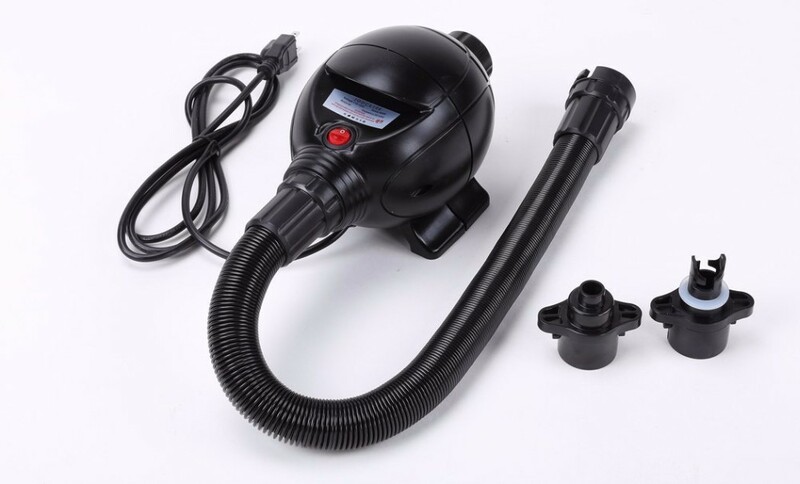 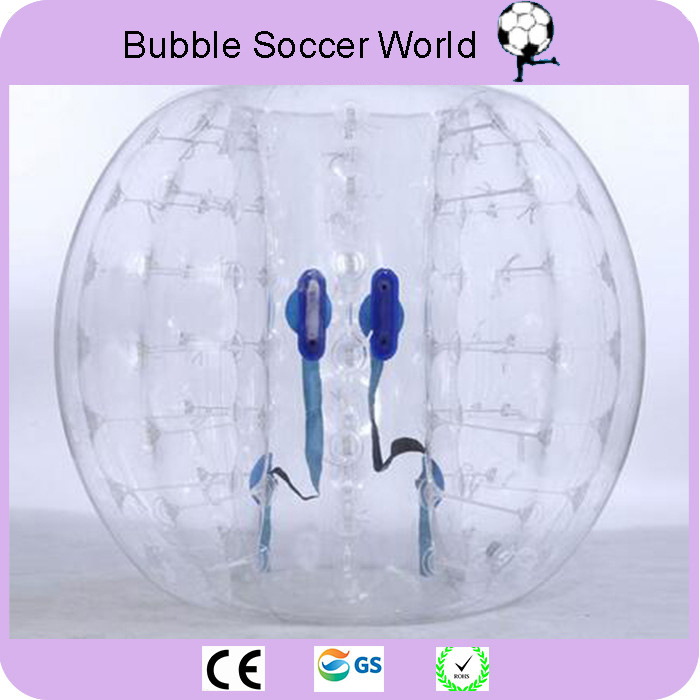 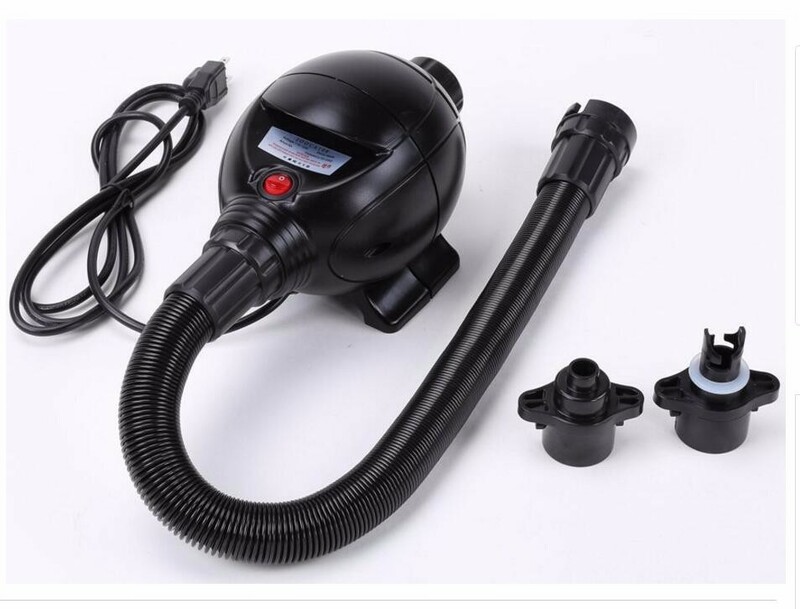 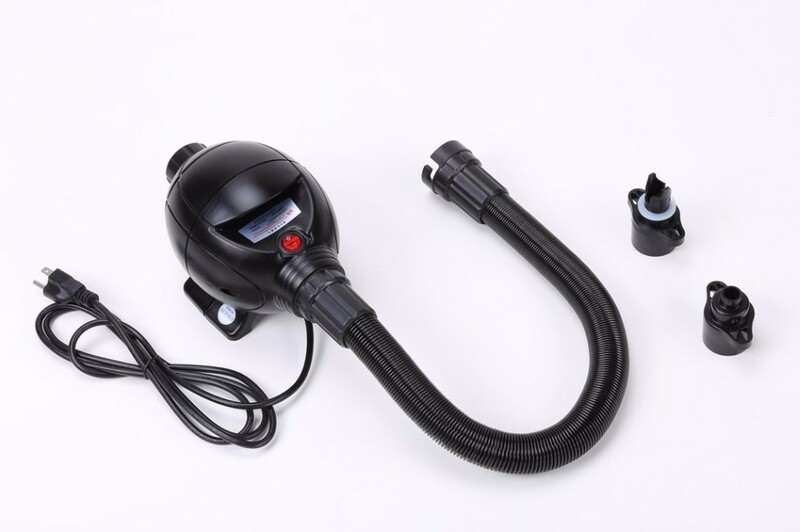 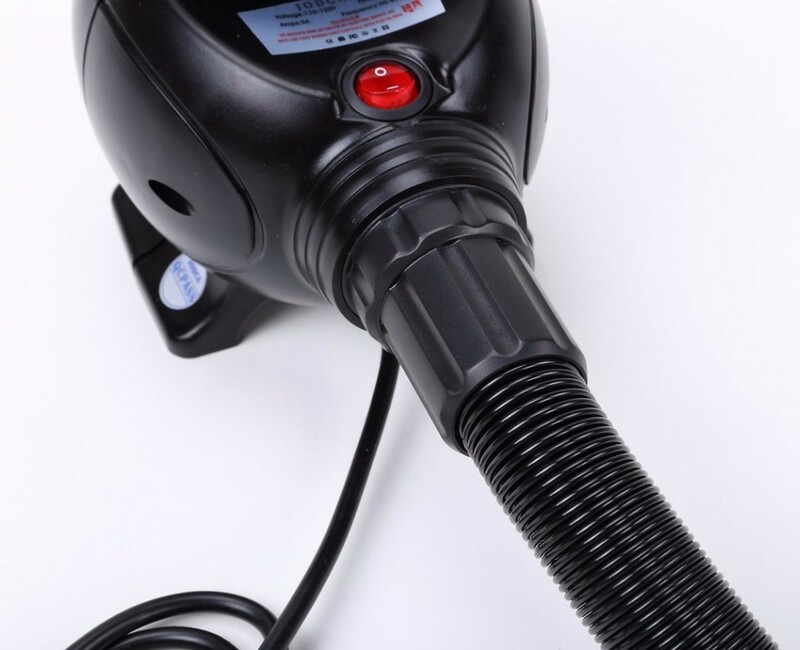 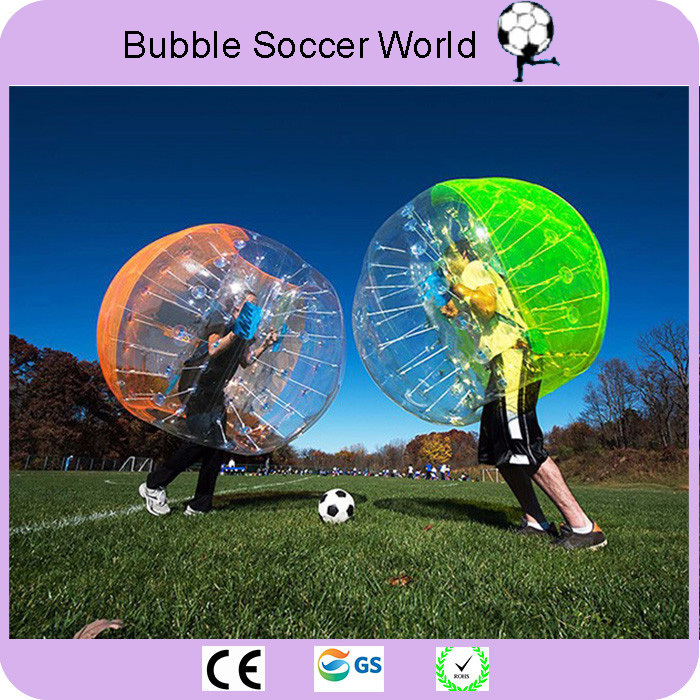 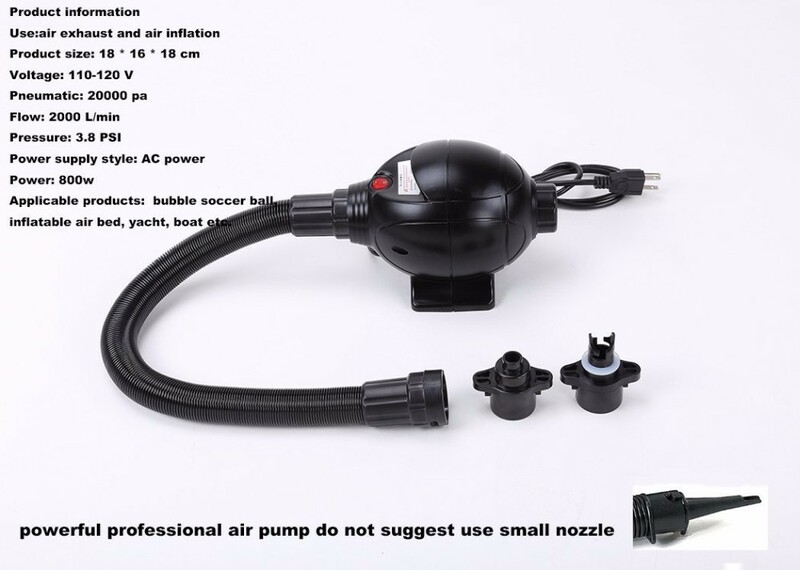 Welcome come to Our Store,If you order 6 or more 6 ,We can Free give you one Electric Pump ,We have 110V or 220v,6pcs Bubble soccer ball one Electric Pump! 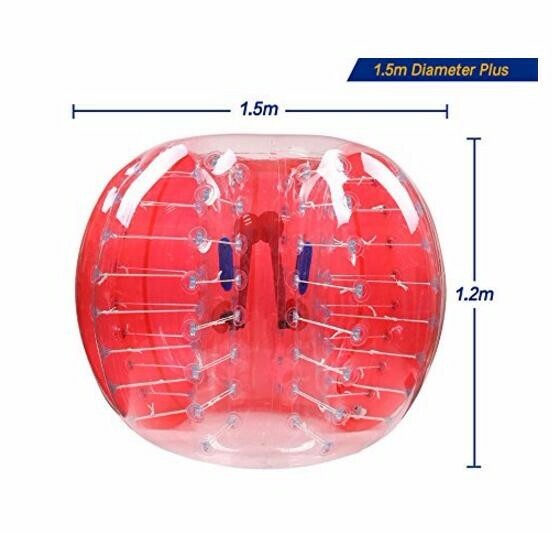 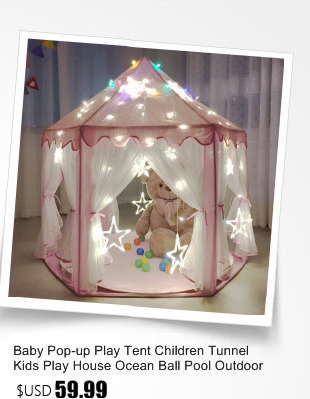 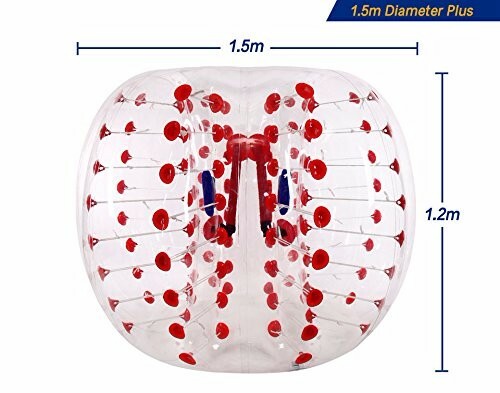 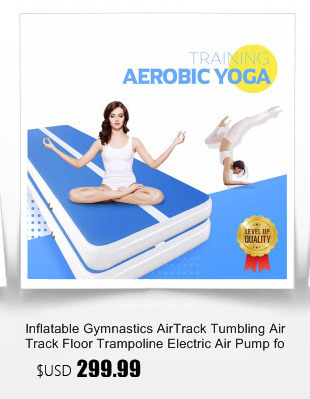 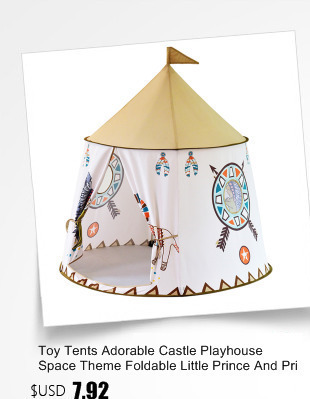 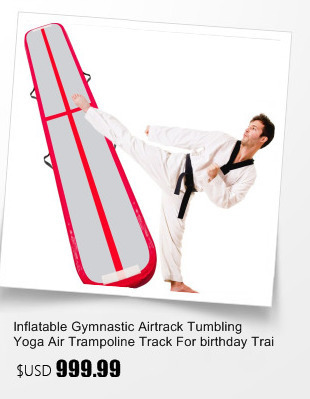 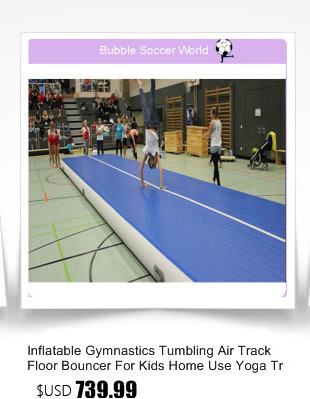 A:This product is 2.5m diameter for adults and kids. 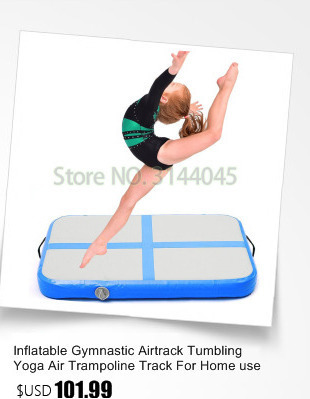 What colors on the water trampoline can you choose from? 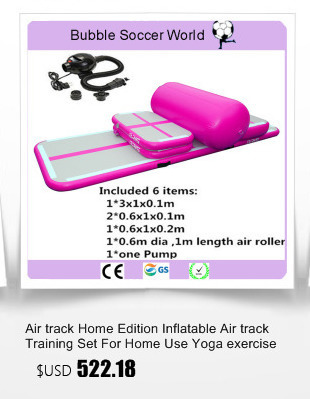 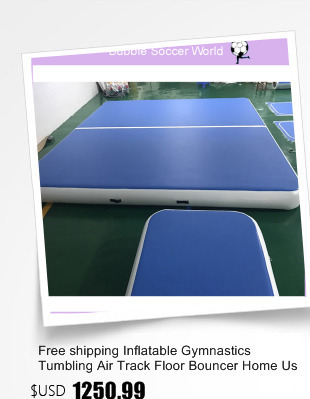 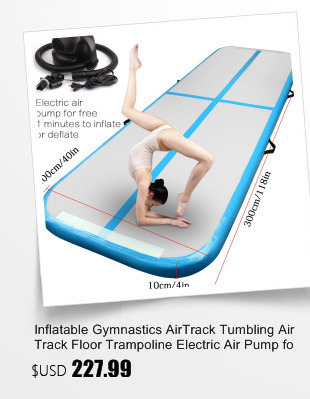 A:The price of water trampoline are the same.You can choose different colors.Please leave a message about what colors you would like to when you place the order. 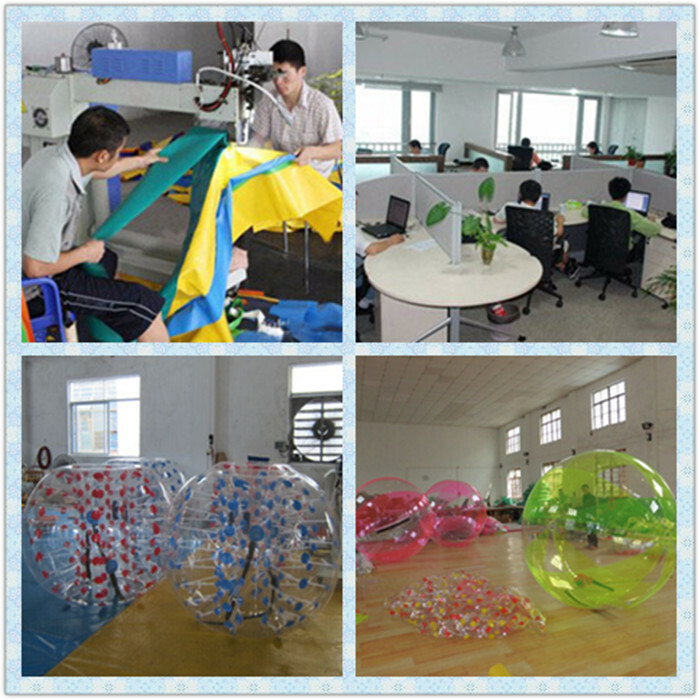 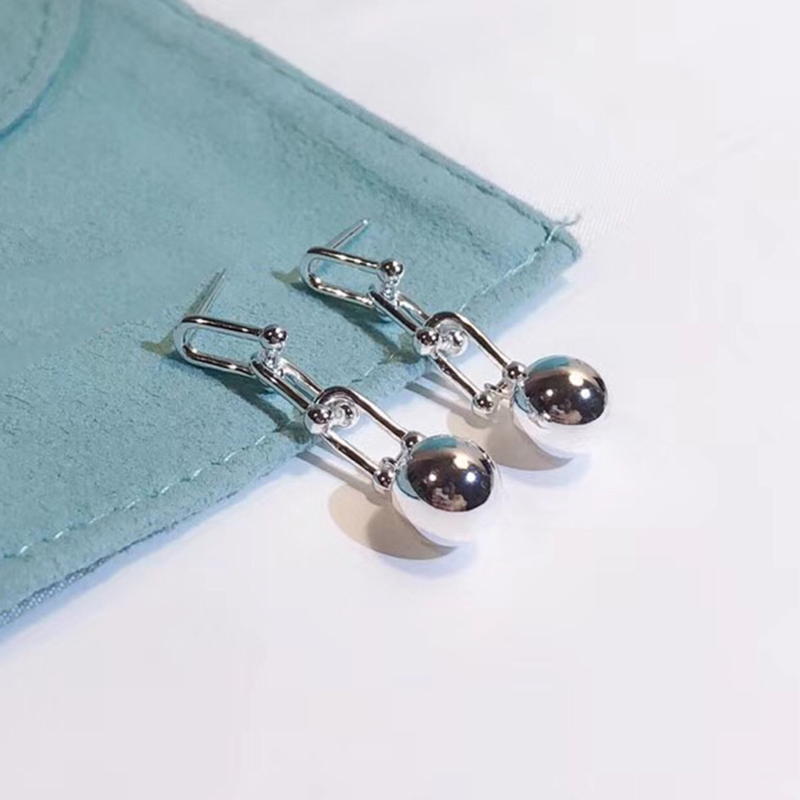 A:3 years Quality guarantee to avoid your after-saleservice risk and free repair kit. 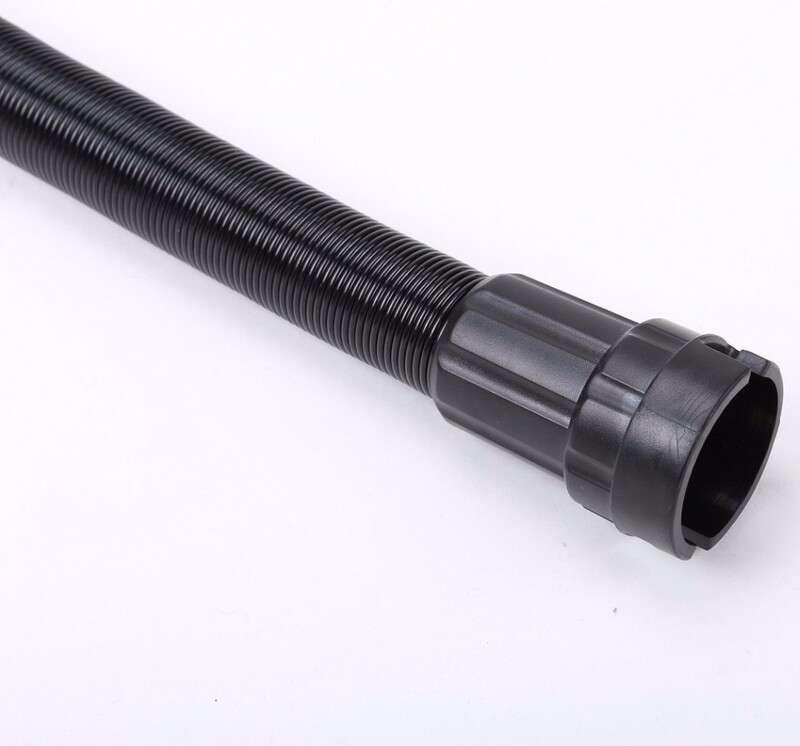 Is it possible to print anything on the air track? 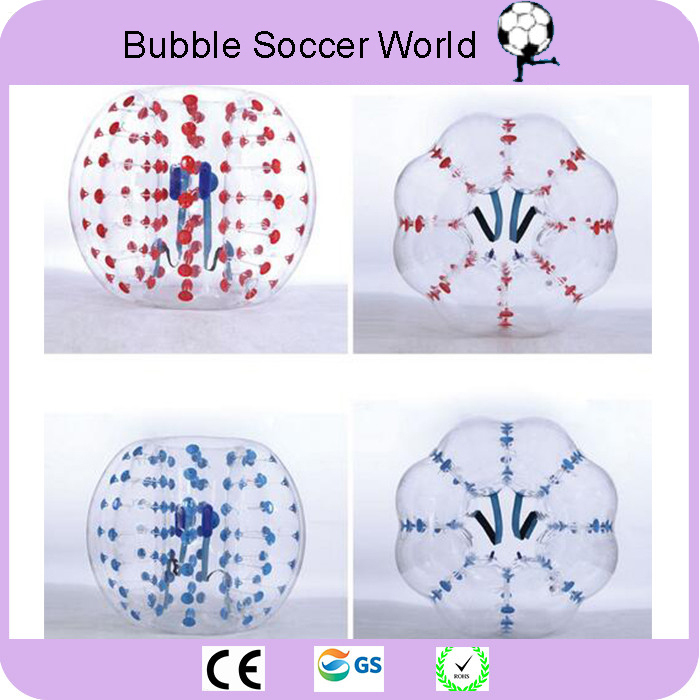 A:You can press numbers and your own logo for free. 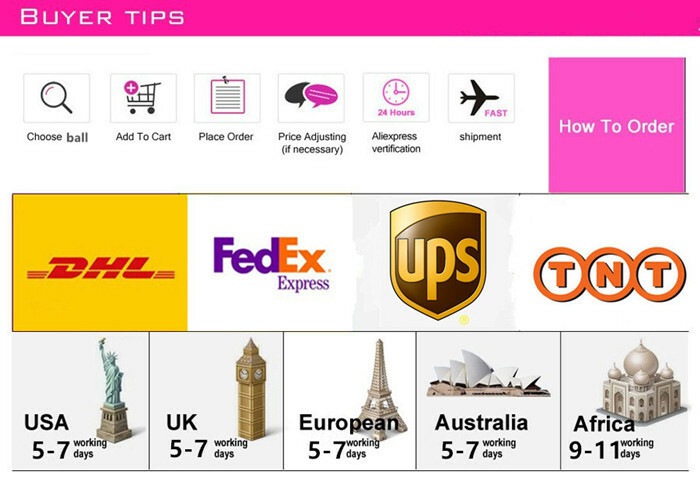 A:Currently,you can pay using Visa,Mastercard,Western Union,Qiwi and bank transfer.More detail,please contack us to help. 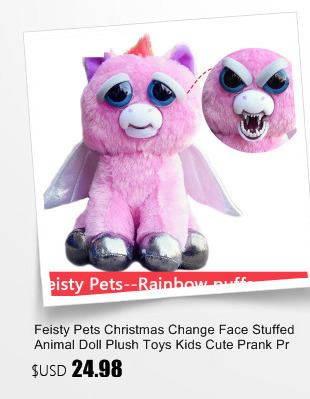 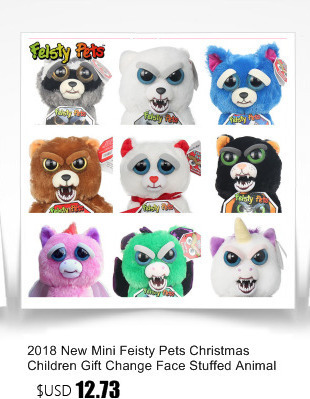 A:Please pay attenttion that import duties,taxes and charge are not included in the item price or shipping charge.There charge are the buyer\'s responsibility,please check with your countrys customs office to determine what these additional costs will be price to buying. 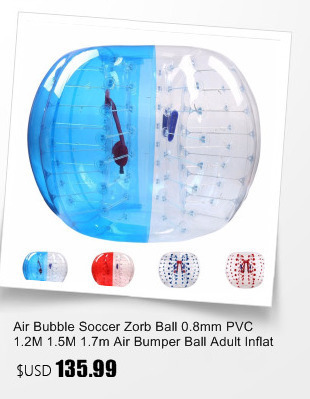 1.Inflatable zorb ball requires no sharp objects in the field.